This blog considers: what is an acceptable amount of information for a doctor to give a patient before obtaining their consent to medical intervention and how a recent medical negligence case will have an impact on the approach of the medical profession to gaining patient consent. The recent decision in Montgomery –v- Lanarkshire Health Board  which was a case involving shoulder dystocia and Erb’s Palsy, resulted in the law on consent in respect of medical treatment being unexpectedly and quite radically clarified. In this blog, I examine the case and its implications. Prior to this case, the question of whether a doctor failing to advise a patient of the risks in respect of proposed treatment amounted to breach of duty of care (negligence) was decided on the basis of expert medical evidence and applying the Bolam test – in essence whether or not a reasonable body of clinicians would have advised a patient of the same risks. If they wouldn’t have done, then it isn’t negligent for the doctor in question also not to have advised of the risks. There was also a need to prove that, if the patient had been advised of the risk, their decision in respect of the treatment would have changed . Mrs Montgomery was under the care of a Consultant Obstetrician during her pregnancy, because she was a diabetic and was therefore probably going to have a large baby with all of the risks associated with that. One of the main risks of a large baby is shoulder dystocia (where the shoulders become stuck in the mother’s pelvis during birth) and that risk in Mrs Montgomery’s case was put at 9-10%. However, the Consultant Obstetrician treating Mrs Montgomery decided not to advise her of that risk because it was felt that the chances of causing a serious problem for the baby as a result of shoulder dystocia was very small. During the birth, which took place in 1999, unfortunately shoulder dystocia did occur, the baby became stuck which took some time to resolve and during this time Mrs Montgomery’s baby was deprived of oxygen and therefore suffered hypoxic brain damage and Erb’s Palsy as a result. Mrs Montgomery’s claim that she should have been advised of this risk of shoulder dystocia and therefore offered a caesarean section (which she would have opted for) was dismissed initially, and upon appeal. She therefore appealed to the Supreme Court. The first thing of note is that the Court hearing the Appeal was a strong Supreme Court, consisting of very senior Justices of the Supreme Court, who unusually totalled 7 in number. The decision of the Court was that the approach to medical treatment had evolved, including as a result of the Human Rights Act 1998 such that the importance of personal autonomy was now much more widely recognised. That is the right of self-determination had taken on new importance. The Court therefore decided that an adult person of sound mind was entitled to decide which, if any, of available forms of treatment to undergo, and that consent had to be obtained before treatment which necessarily involved interfering with bodily integrity was undertaken. This meant that doctors are now under a duty to take reasonable care to ensure that patients are aware of any material risks involved in any recommended treatment and of any reasonable alternative or different treatments. 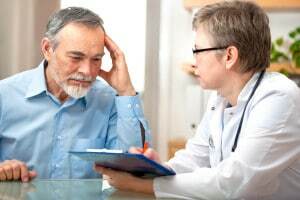 The test applied was whether a reasonable person in the patient’s position would consider a particular risk of significance, or the treating doctor was aware, or should have been reasonably aware, that the particular patient would consider it significant. What this meant in Mrs Montgomery’s case, is that the Consultant Obstetrician should have advised her of the risk of shoulder dystocia, as above 9-10%, if a vaginal delivery was attempted and to discuss the alternative of a caesarean section. The Court then concluded that if that had happened, Mrs Montgomery would probably have opted for the caesarean section, thereby avoiding the harm to her baby. This case is a considerable clarification of the law upon consent, which almost amounts to a strict liability and with the onus having shifted to looking at what the patient would regard as a significant risk, rather than what treating doctors believe to be the significant risks. There is also an element of case specificity to this new approach, in terms of treating doctors having to take account of the likely approach to risk of each particular patient. It should be noted that the events in this case took place in 1999 and therefore the risks quoted are not necessarily the same as those in similar circumstances today due to advances in medical knowledge and practice, but the overriding issue is still the same and that is that the patient should be told of the relevant risks and alternative options available at the time before giving their consent to treatment. There is no doubt this puts a much higher burden upon treating doctors to ensure that they seek appropriate consent from their patients, and I would suggest that has to be a good thing, to ensure that patients are fully and truly involved in decision making around their own bodies and treatment of them.